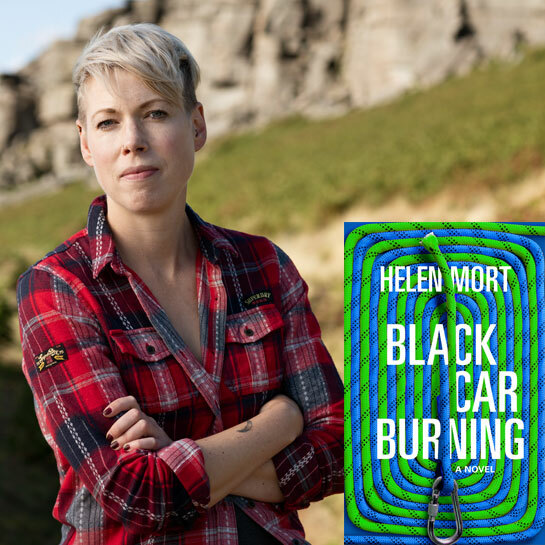 We welcome back Helen Mort, best known for her award winning poetry, to talk about her brilliant debut novel, Black Car Burning. Published to coincide with the 30th anniversary of the Hillsborough Disaster, it is a novel about trust and trauma, fear and falling and focuses on the relationship of two women set against the backdrop of urban Sheffield and the natural landscape of the Peak District. Alexa is a young police community support officer in Sheffield whose world feels unstable. Her father is estranged and her girlfriend is increasingly distant. She senses the rising tensions in Sheffield’s disparate communities and doubts her ability to help or change anything. Caron is pushing Alexa away and pushing herself ever harder. A climber, she fixates on a brutal route known as Black Car Burning and throws herself into a cycle of repetition and risk. Meanwhile, an ex-police officer compulsively revisits the April day in 1989 that changed his life forever. Trapped in his memories of the disaster, he tracks the Hillsborough inquests, questioning everything. As the young women negotiate the streets of the city and its violent inheritance, the rock faces of Stanage and their relationships with each other, the urban and natural landscape watches over them, an ever-present witness.